St. Albans, a small and historic village, is situated on the banks of Macdonald river about 100 kms north west of Sydney. It had a population of 72 people at the 2006 census. St. Albans Anglican Church was proposed in 1842 and a timber church was built a year after. 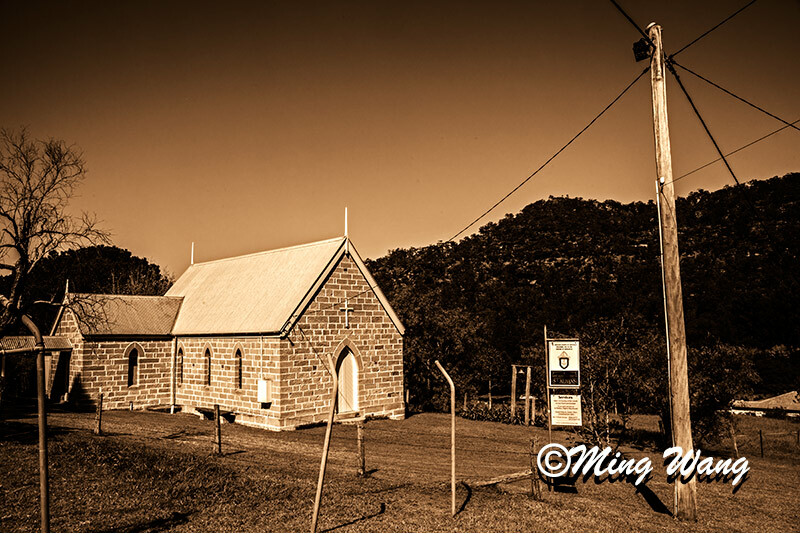 The timber building was burnt down and the stone church was built at 1863 at the same place. Old photos look. Thank you very much. Cute little church! What a nice find. It is a bit of surprise for me as well. Thanks.